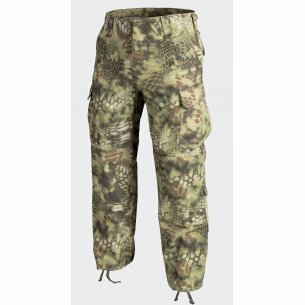 Trousers available in 3 material versions: nyco ripstop, cotton ripstop, polycotton ripstop and 16 colors / camouflages: pl desert, beige, pencott greenzone, pencott badlands, pencott sandstorm, kryptek mandrake, kryptek highlander, black, olive green, pl woodland, coyote, camogrom, flecktarn, shadow grey, navy blue and legion forest. Each of us likes to look good. Many people follow new fashion trends. However, most women do so. Men, in turn, usually bet on what is good and can serve them for a very long time. The same is true if you want to choose any pants. Then, usually, they look for those that are comfortable and durable, as well as well-tolerant of external factors. 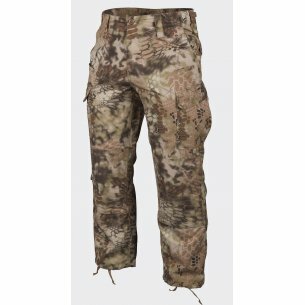 These are the features of the Helikon tex pants. What's more, this company has a very wide range of trousers in terms of color and cut. These pants are very often chosen by men because they are extremely durable. They are suitable for many different kinds of hard work and nothing bad happens to them. 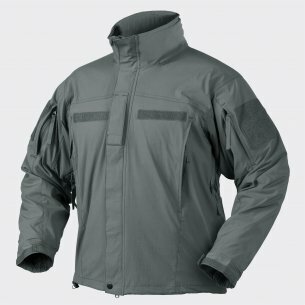 Men's helikon tex pants are also a great heat insulator. It's also in the winter when there are frosts of people who work outside, and are wearing a helicon tex pants do not feel the end of the temperature, which is actually outside. You can say that these pants are a copy of the trousers of the American army. They were sewn from a very durable material resistant to various abrasion. 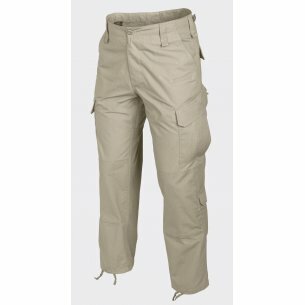 As a result, men's helikon tex trousers can be used for many years. What's more, the advantage of the trousers is that they have a lot of pockets in which the man is able to bury many of his little things. In addition, men's trousers have wide legs, so that the guy can feel more relaxed and at ease. They are very eagerly chosen by men who want to feel at least as if they were in the army. 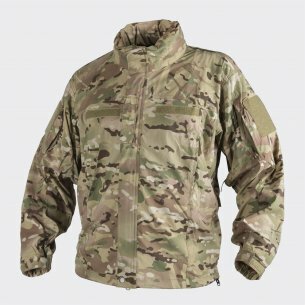 This is first of all a field uniform, which is more and more often bought by men every day. Cpu pants are characterized by the fact that they have additional reinforcements on the knees and buttocks so they can be used for a very long time. What's more, the tex cpu helicon also has a waist adjustment. Thanks to this, a man does not have to be afraid that if he gets fat or lose his pants will not fit him. It is a new model of trousers, which was created for uniformed services. However, the militaria enthusiasts who like to stand out from the crowd have also gained recognition. 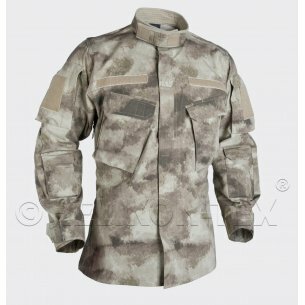 Helikon tex Combat Patrol Uniforms have a total of ten pockets and are sewn from a pleasant and comfortable to wear material. What's more, they have a puller on the bottom of the legs, which allows you to pull off the trouser legs. 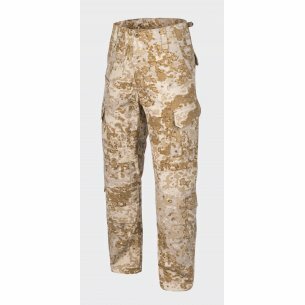 These pants are highly appreciated because they are worn not only by uniformed service, but also by the favorites of military clothing. Military militias / camo fighters perform excellently not only during a trip to a lake, to a forest for mushrooms, for work, or a trip to the mountains, but also in many other situations. Thanks to the fact that they are made of soft material, they provide freedom of movement, while protecting the legs from rubbing, wind and cold. Military pants are very often chosen by many men. There is no strictly defined professional group that privately carries them. Everything depends on the individual preferences that characterize each individual. However, in order not to be cheated on the quality of the trousers and fake brand it is worth to buy pants from a reliable source. With this in mind, our company has an online store where everyone can buy the pants they want. The only thing you should do to buy a product is to go to the store located at the online address: https://hwesta.eu/pl and make a purchase. 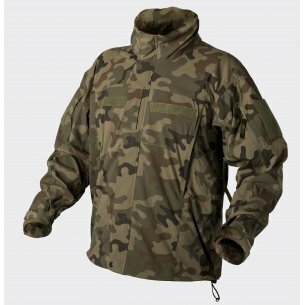 What's more, our store has a lot of other military items in its offer, it is also everyone who likes to buy this type of clothing can buy not only pants, but also a jacket, sweatshirt, hat and many other things. The advantage of the online store is also the fact that shopping can be done at any time of the day or night, that is, whenever we feel like it and time.